We take pride in the services we provide - you can count on Keystone Quality Transport. 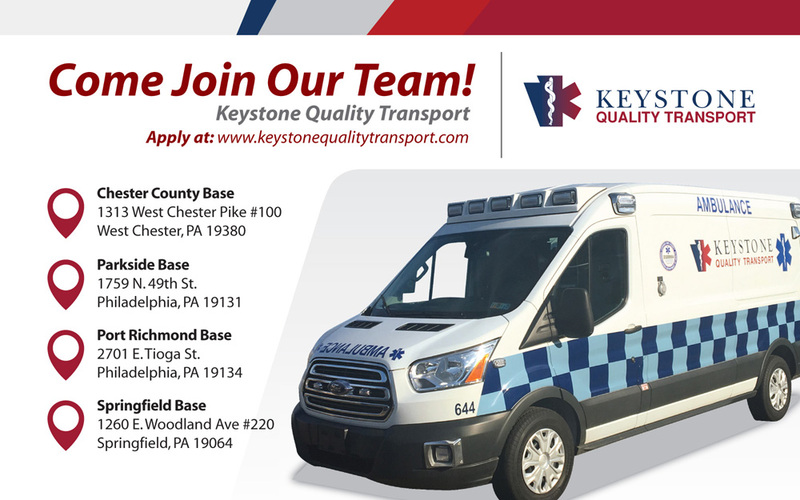 Join the Keystone Quality Transport team. We are now hiring for all positions, including Paramedic, EMT, Paratransit.